The first victim of the nightclub shooting arrived shortly after 2 a.m. and was relatively stable, giving doctors working the overnight shift hope that any others would arrive in a similar condition. Then five more came, in much worse shape, and then more, and more still, until so many bleeding people were lining up in the emergency room that even hardened trauma surgeons and nurses were brought to tears. "They were dropped off in truckloads, in ambulance-loads," said Dr. Kathryn Bondani. The hospital ran out of ambulances, so firefighters, police and truck-driving citizens ferried the injured. The trauma bay quickly overflowed with patients with serious gunshot wounds, forcing doctors performing triage to move critically injured people elsewhere and focus on those whose lives were most in danger. 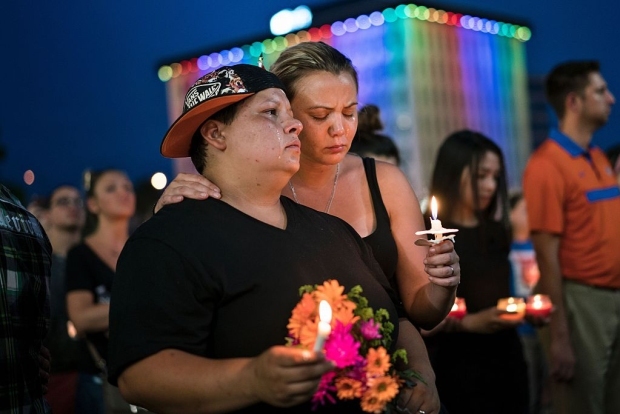 Luckily, the Pulse nightclub isn't far from Orlando Regional Medical Center, the region's main trauma hospital, but its emergency room staff usually gets advance word when severe cases are on their way. This time, victims started arriving within minutes after the shooting started. The staff had to scramble. 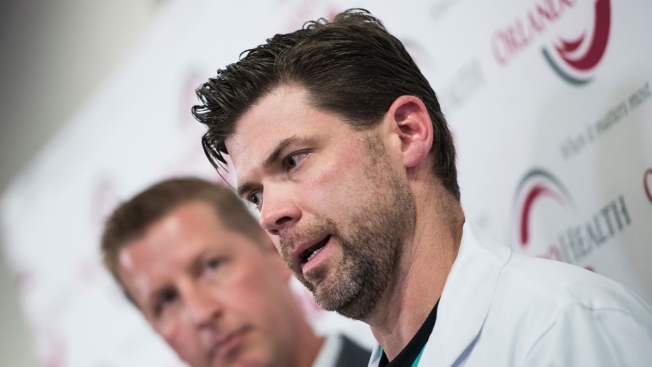 Choking up a bit, the attending trauma surgeon on call that night, Dr. Chadwick Smith, described how he and others called for reinforcements. "I said, 'please come, please come. We need your help,'" Smith said. "This is not a drill. This is not a joke," he told them. "'I need you as fast as I can.' Every answer I got was, 'I'll be right there.'" Nurses and technicians also arrived, many without being told to come, turning much of the hospital into emergency response areas. Doctors quickly expanded from two operating rooms to six, performing surgery after emergency surgery. Another eight operations were scheduled for Tuesday. Trauma surgeon Dr. William Havron was one of those called in, and found a hospital flooded with bloody victims with severe wounds. He called it a surreal experience. "We were just given patient after patient after patient," he said. "We'd literally walk from that operation room to another operating room and just do it again and again." Dr. Joseph Ibrahim said the hospital looked like a "war scene" with "patients in every corner." Some had wounds from both large and small ammunition, suggesting the gunman used both his assault rifle and pistol. Angel Colon, 26, was shot three times in his leg, and his bones shattered as he was trampled in the crowd. Then he was hit again, in the hand and hip, as the gunman shot the injured, apparently "making sure they're dead." Later, as a policeman dragged him to safety, his body was cut by shards of broken glass. Appearing in a wheelchair Tuesday at the hospital's news conference, Colon turned to the doctors and nurses and said: "I will love you guys forever." The trauma center is used to handling four or five people each shift. A total of 44 patients arrived that night, with all manner of bullet wounds, broken bones and other injuries. Nine of them were too far gone to be saved, said Dr. Michael Cheatham, a critical care surgeon. Of the rest, 27 remained hospitalized Tuesday, including six in intensive care. Two of these patients may be permanently disabled, but no patient has succumbed since the nine who were pronounced dead on arrival, he said. Eleven victims were treated at other hospitals, and most of them have been released, Cheatham said. He said patients are still coming into hospitals. "It was singularly the worst day of my career and the best day of my career," Smith said. "And I think you can say that of pretty much every person standing up here."